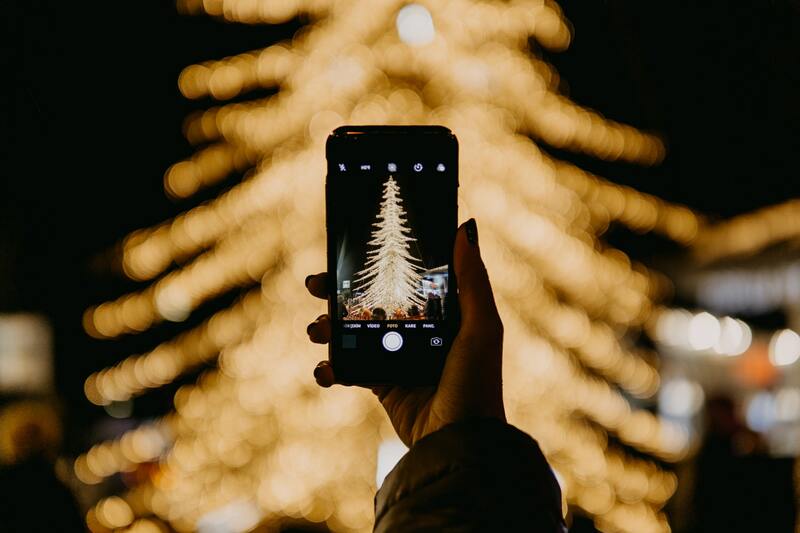 If the festive holiday chestnuts ringing through every store and restaurant you walk into haven’t quite gotten you in the Christmas mood for 2018, there’s probably one thing that’ll really do it: a celebratory Christmas tree lighting. Even the Scroogiest among us have to admit there’s something magical at a city Christmas tree lighting — hundreds of neighbors huddled around together to welcome the holidays, thousands and thousands of lights twinkling on an enormous tree, festive music, usually some hot cocoa, and more often than not, an opportunity to contribute to a local charity to help some other neighbors have a merry Christmas, in the true spirit of the season. We know it’s not quite Thanksgiving yet, but the tree lightings are already almost here. There are events planned all around Middle Tennessee, so if you really can’t get enough of Christmas, you could hit a handful of lightings in the coming weeks. It’s not a contest, but if it was, Hendersonville’s tree lighting celebration would have a good chance at snagging the No. 1 tree-celebration slot in Middle Tennessee. Their annual event includes all kinds of festive fun, including carriage rides, lots of Christmas songs being sung, a visit from Santa and Mrs. Claus and more, plus a little extra fun for families, with bounce houses for the kids and food trucks for everyone. Bonus: It’s one of the earliest tree lighting events in the area, so if you’re eager to get the season going, it’s almost time to jump in. More here. The annual Metro Nashville Tree Lighting Ceremony is always an excellent provider of Christmas cheer, and this year’s looks to be no different. The famous Fisk Jubilee singers and a host of others will be on hand providing holiday sounds, Santa Claus is set to make visit, and the Davidson County Sheriff’s Office will be there to collect toys for the Last Minute Toy Store, who’ll help families in need across Nashville have a more wonderful Christmastime. More details here. The Square in Franklin is always impressively festive around the holidays, and the annual tree lighting is a great excuse to enjoy it. At this year’s event, gifted local voices Holly Williams and JT Hodges will be providing the seasonal soundtrack alongside local high school choirs, and Santa and some friends will be there for photos, too. More here. Goodlettsville families definitely don’t want to miss the city’s annual tree lighting ceremony, which is always set up with fun stuff for the little ones. This year, there’ll be Christmas crafts to make and take home, cookies to snack on, plus live music and other entertainment — and Santa and Mrs. Claus. As always, it’s free. More here. Brentwood’s annual tree lighting is a fittingly festive one — there’ll be holiday treats and warm cider, live Christmas music from the Ravenwood High School Chorus, readings of The Polar Express and, of course, the tree. It’s free, but for readings, you’ll just need to grab a ticket. More here. Hope one/several of these help kickstart your Christmas spirit for 2018. All set with holiday event plans, but planning on looking for a new house or condo in one of these cities? Please let us know if we can help you find the perfect place to call home. Reach ACRE here.